Grab EZ-bar using pronated grip (palms facing forward). Your wrists should be a bit closer than shoulder-width apart. 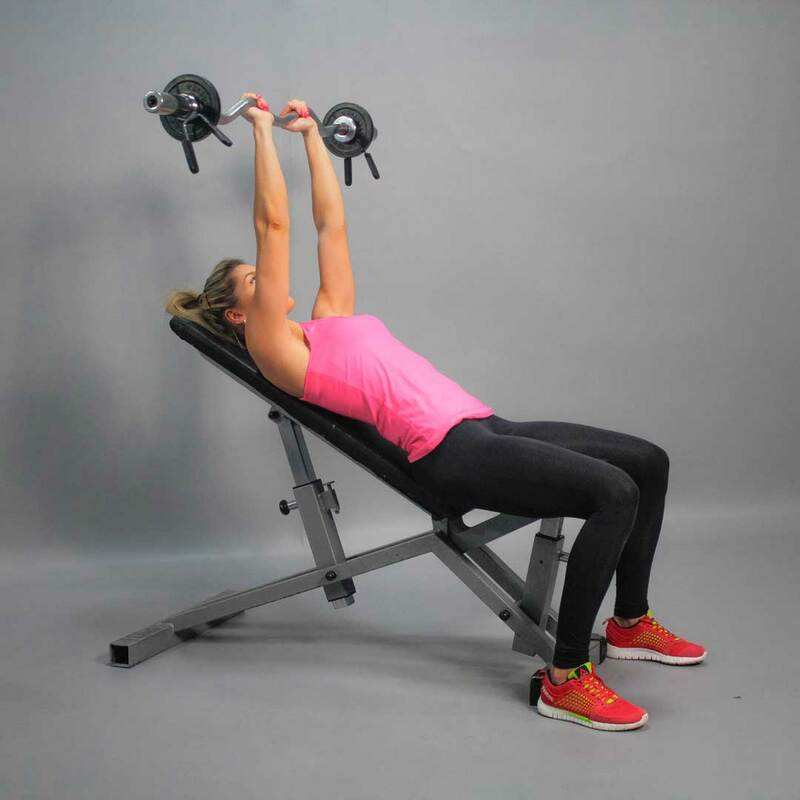 Lie back on an incline bench with back set at an angle 45–75 degrees. Straighten your arms up, elbows are pointing inwards and the barbell is above the head. This is your starting position. Inhaling, now lower the bar in a semicircular motion behind your head. Keep moving until your forearms touch your biceps. Only the forearms should move. Exhaling, return a bar to the starting position as you straightening your arms.